famous restaurant, but your health matters too, right? but it's unfortunately worse in Korea. but it's been known to show them over time. 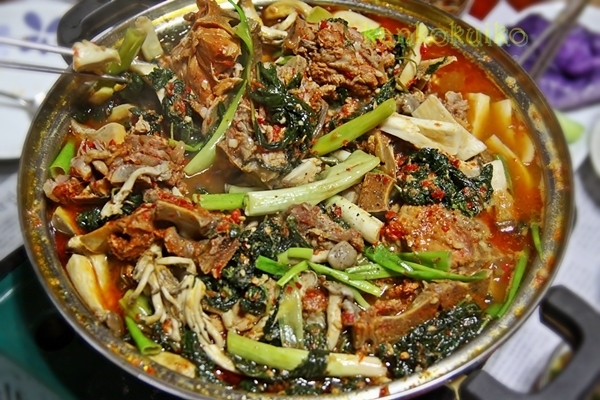 here's how you make Gamjatang, one of foreigner's favorite Korean food. 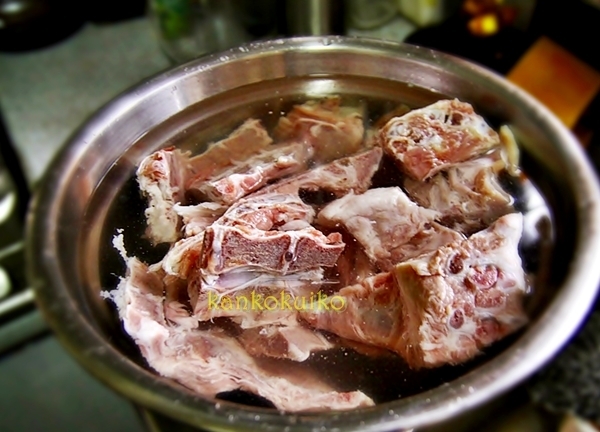 Get some pork WITH bones. like H-mart where I used to shop when I was in the U.S.
Leave them in water for about 3 hours so that the blood is taken out. and ginger. 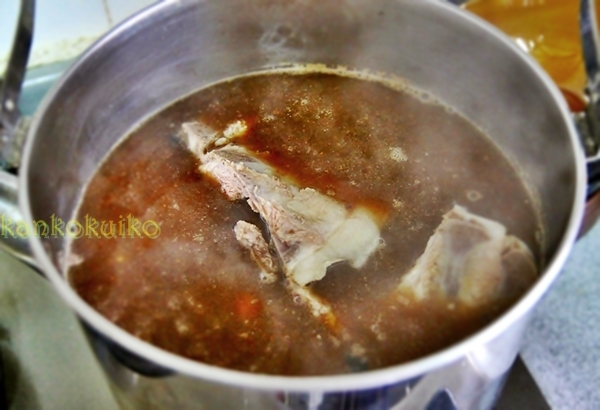 When this mixture starts boiling, put in the meat till the meat is properly cooked. and even add some seasoning. Brew the soup using anchovies, garlic, green onion, and ginger. 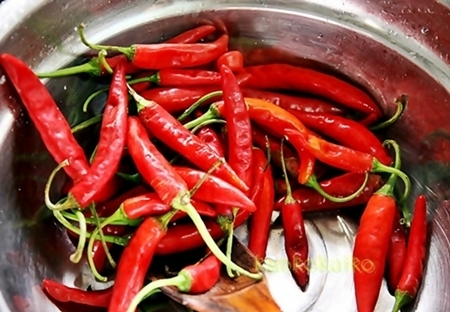 Then, add some fine red chilly powder for the color as well as taste. Since we looooove spicy food, we decided to chop some more red chilly and put it in. 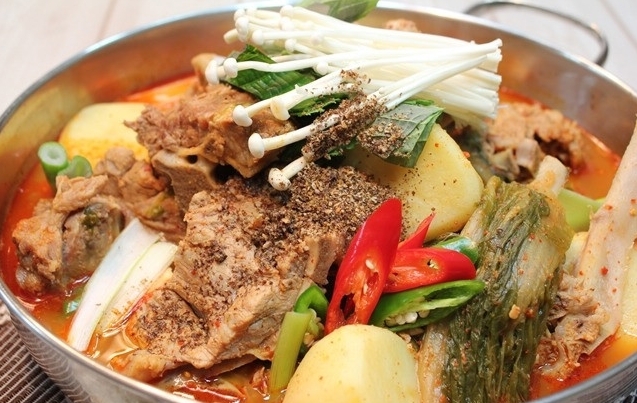 If you're not crazy about spicy food, then don't bother putting them in. 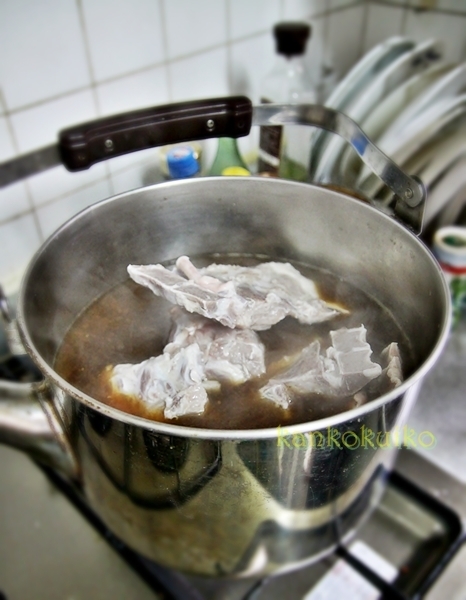 Now, put the pork meat that you cooked on the bottom. 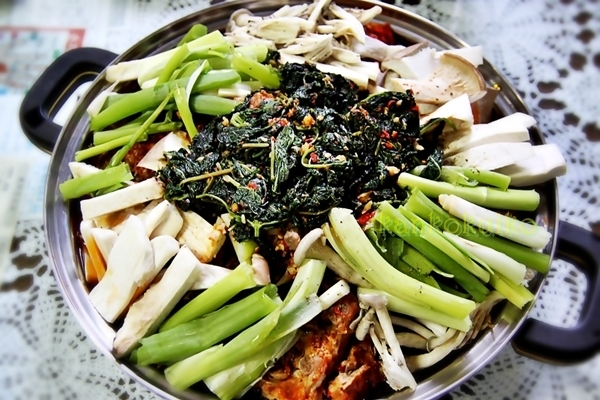 On the top, put some green onions, mushrooms, potatoes, and sesame leaves. 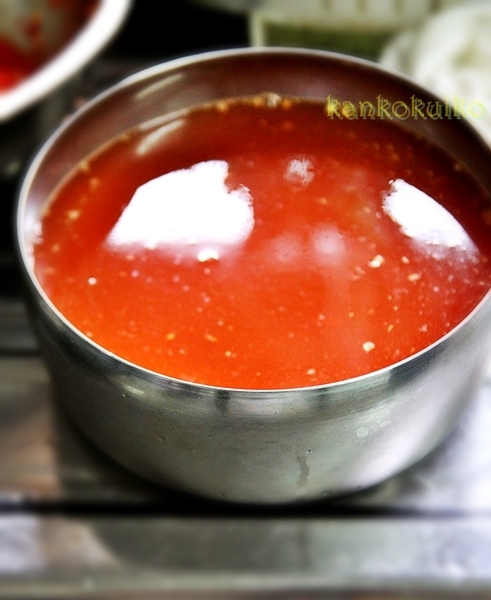 Then, pour the yooksu (soup) on the top and start boiling on weak fire. When it starts boiling, mix them a little. ... do I have to spell out the next step for you...?